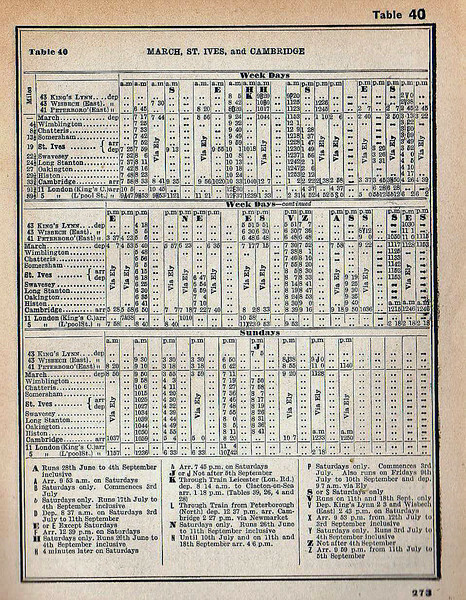 March-St Ives-Cambridge timetable from the summer of 1954. Column HK on the weekdays timetable is a through train from Leicester to Clacton which ran summer Saturdays only. See next picture. Column J on the Sunday timetable is a through train from Hunstanton to Histon which ran non stop from Kings Lynn to Wimblington via Magdalene Road, Wisbech and March.